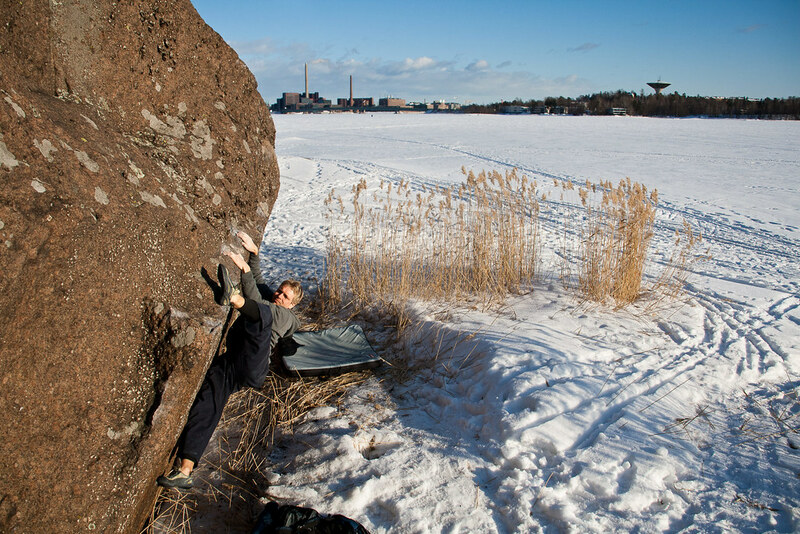 Bouldering is a new hobby of mine, and living in Vaasa means I have superb possibilities to head out in the afternoon or evening to tackle a problem - right in front of my door. 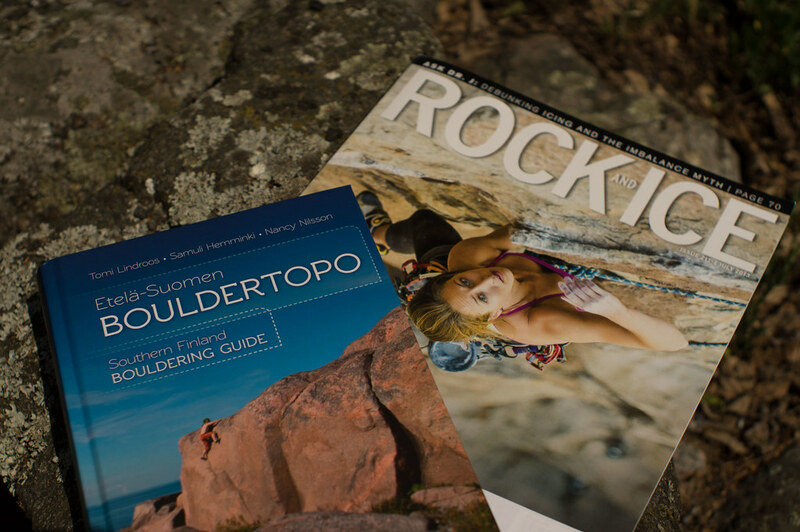 However, South Finland too has a lot of great problems to offer, and the new Southern Finland Bouldering Guide shows you where to go look for those sweet rocks. Tomi Lindroos, one of the authors of the book, sat down with me, answered my questions and tells us more about the book. Hei Tomi, thanks for taking the time for this interview. For those who don’t know you, can you please introduce yourself briefly? Hi, and thanks for the interest in the book and the story behind it. My name is Tomi Lindroos, I’m 30 years old and I live in Helsinki. You are into climbing & bouldering. When and how did you start? I first tried indoor climbing when I was 12 years old and didn’t like it at all. After spending my time with books and martial arts, I refound climbing in 2007. Back then, the time was right and I fell in love with climbing. Climbing & bouldering are social sports, but not team sports. Are you a member of a climbing club, or a clique which heads out to the crag together? I climb a lot with my friends. We have a group of people going to the crags and indoors together. Often there’s some company available for every day. Helsinki has a few really high quality climbing gyms - which one is your favourite? Personally I prefer Salmisaari and Pasila, because the first is next to my office and the second is next to my flat. To give a little add here, Salmisaari offers really good quality routes while routes at Pasila are freaking hard and teach you a lot. Together they have offered me many good days. But we know that indoor climbing is just “meh” compared to real rocks! So which is you favourite boulder problem in a) Helsinki b) Finland c) the world? c) Rainbow Rocket in Fontainebleau and Rhino in Rocklands. 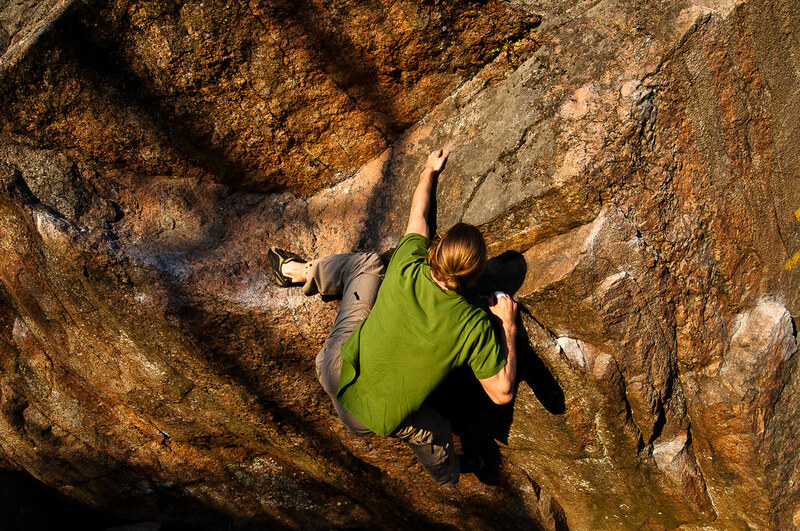 Which brings us to the book you just published with two friends, the Southern Finland Bouldering Guide. It’s a complete self published book from what I can tell - Nancy did the layout, you drew the maps, and Samuli, Nancy and you wrote it. How long was the book in the works? Yes, it was completely self published. Nancy did the layout and some proof reading while me and Samuli produced the material. In total, the work spanned over 3 years. The first two years were mostly planning and just grasping the amount of the work. We started to make a demo version last spring with Samuli and got it done by the summer. After that we recieved plenty of feedback and started to work with the rest of the material. The most hectic part of the work was spring 2013 when we put all the material together to a book. You cover a few distinct regions - besides the Metropolitan Region there’s also Hämeenlinna, a few selected other regions and Åland. Which of these was the most fun to research? I personally enjoy the atmosphere of Åland the most, but I absolutely love to explore new places everywhere! 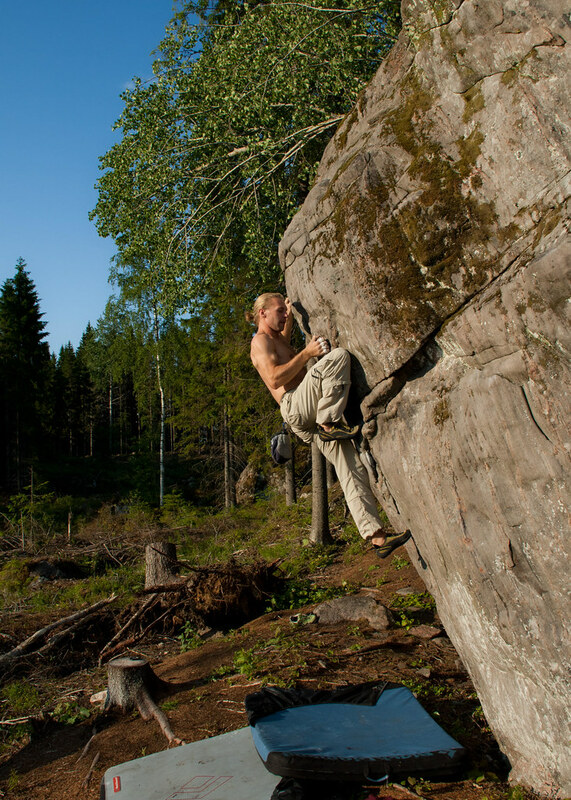 If any boulders from outside Finland reading this interview would ask you where they should visit for a week if they come bouldering to Finland - what would be the itinerary you’d plan for them? 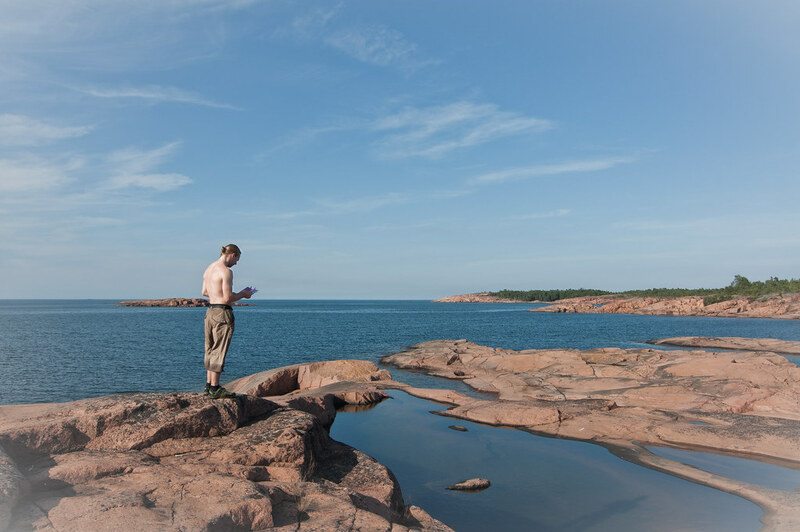 Visit some local rocks in Helsinki, such as Pihlajasaari, and take tours around the city. After a day or two, take a Ferry to Åland, climb there and come back to Helsinki just before the departure. If a car is available, there’s many beautiful places within 1 hour drive from the Helsinki such as Lappnor, Palkkivehmas and Siiri. Lets talk shortly about gear - what are your favourite climbing shoes, which crash pad do you use and which brand of chalk will we find in your chalk bag? I’m not a big gear fan. I have an old crashpad which I’ve been filling regularly to make it a bit more safe. My shoes are Pythons, because they are so comfortable for my foot and still work on real rock. I don’t have a clue about the brand of the chalk! 27crags.com features heavily in the book - what’s your involvement with the site? 27crags has a wide amount of information available. We’ve been using that information in the book and contributed some more to the website. 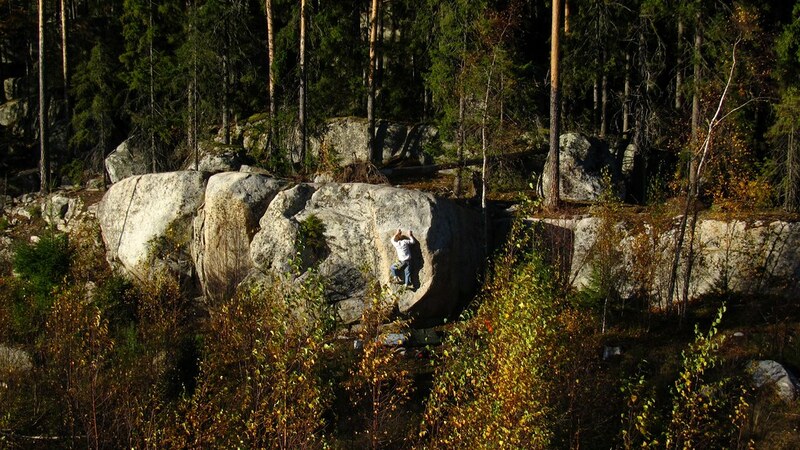 Finally, as I’m living in Vaasa and we have some of the best boulders of Finland here (or so I’m told =) - will a Western Finland Bouldering Guide follow at some point? Actually, you’re not the only one who has been asking. At the moment we want just to rest and enjoy the summer. Maybe we’ll start that project a bit later! Tomi, thank you for taking the time to do this interview! Any shout-outs? Thank you. Just one quick shot out: Go out there and enjoy the day! You can take a look in the book here. Stores which carry the book include Camu, Boulderkeskus, Mountain Shop and Kletterführer.